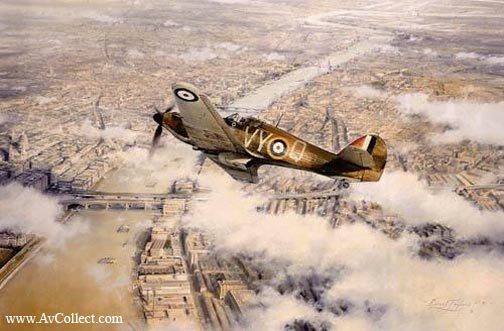 the aircraft that won the Battle of Britain. above a panoramic view of London. and individually signed by Group Captain Peter Townsend.